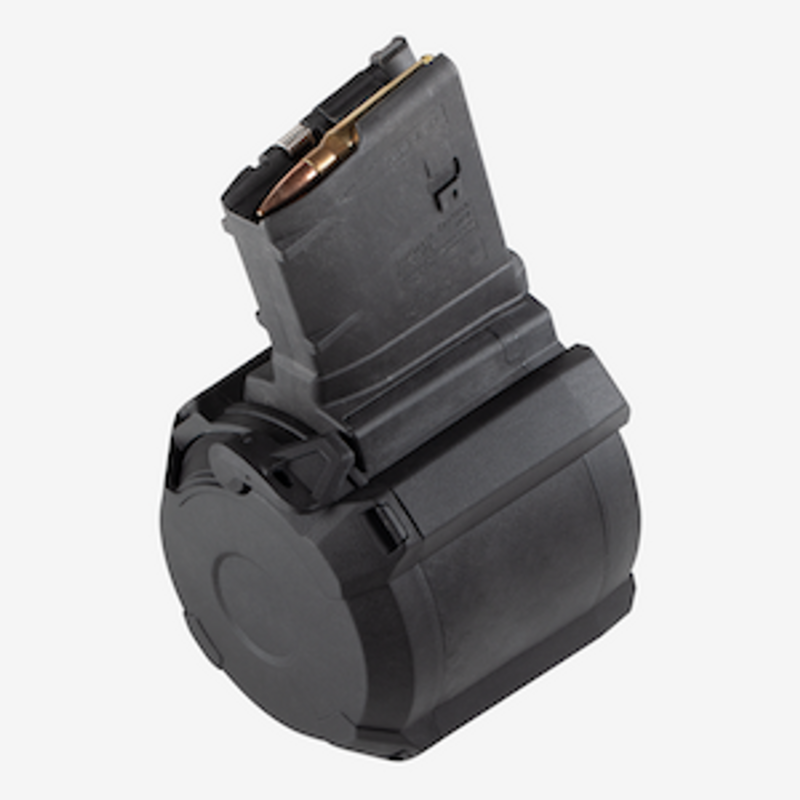 Magazines for guns that hold more than 10 rounds are referred to as high-capacity magazines, or high-cap mags. Impact Guns carries a wide variety of high-capacity magazines for guns such as the AR-15, Glock handguns, Ruger guns, SiG, HK, Smith & Wesson, and many more. SPECIAL NOTICE: A Federal judge in California has struck down the high-capacity magazine ban in effect in California since 2000. It is now legal, for the time being, for California citizens to buy high-capacity magazines. If this decision is reversed or a stay is issued, then we will NOT be able to deliver high-capacity magazines and any outstanding orders will be cancelled. Polymer constructed, impact and solvent resistant stick magazine. Sonically welded for maximum durability. No screws or exposed springs. User friendly and heavy duty. 100% guaranteed for life against breakage and is proudly made in the USA.